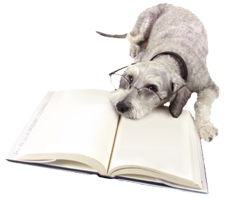 Shelton Veterinary Center is aware of the vast amount of information available on the internet. Our team has taken the time and evaluated the following sites. We trust the information the listed websites provide to you, our client, and member of our family. Note: It is also advisible to visit the website of a specific breed's club - as in "Maltese Club of America," as they tend to provide standard information about the breed as well as common hereditary, congenital and breed predisposed problems.